Sweeney Todd is a barber who dispatches his victims by pulling a lever as they sit in his barber chair. His victims fall backward down a revolving trap door into the basement of his shop, generally causing them to break their necks or skulls. In case they are alive, Todd goes to the basement and "polishes them off" (slitting their throats with his straight razor). In some adaptations, the murdering process is reversed, with Todd slitting his customers' throats before dispatching them into the basement through the revolving trap door. 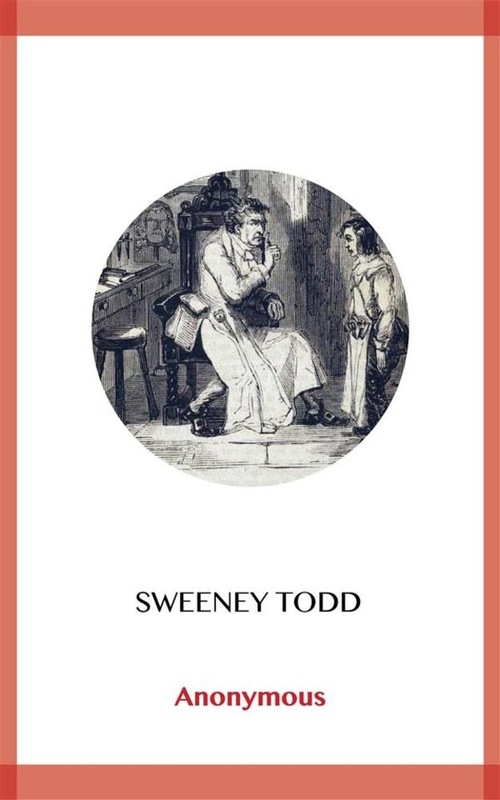 After Todd has robbed his dead victims of their goods, Mrs. Lovett, his partner in crime (in some later versions, his friend and/or lover), assists him in disposing of the bodies by baking their flesh into meat pies and selling them to the unsuspecting customers of her pie shop. Acquista Sweeney Todd in Epub: dopo aver letto l’ebook Sweeney Todd di Anonymous ti invitiamo a lasciarci una Recensione qui sotto: sarà utile agli utenti che non abbiano ancora letto questo libro e che vogliano avere delle opinioni altrui. L’opinione su di un libro è molto soggettiva e per questo leggere eventuali recensioni negative non ci dovrà frenare dall’acquisto, anzi dovrà spingerci ad acquistare il libro in fretta per poter dire la nostra ed eventualmente smentire quanto commentato da altri, contribuendo ad arricchire più possibile i commenti e dare sempre più spunti di confronto al pubblico online.